The Week 4 update is complete. Photos and videos will be added shortly. Hopefully a podcast will be recorded this week. If anyone wants to add any original content, from player profiles, to statistical analysis, to something funny and completely off the wall, please feel free. It will make the site better. 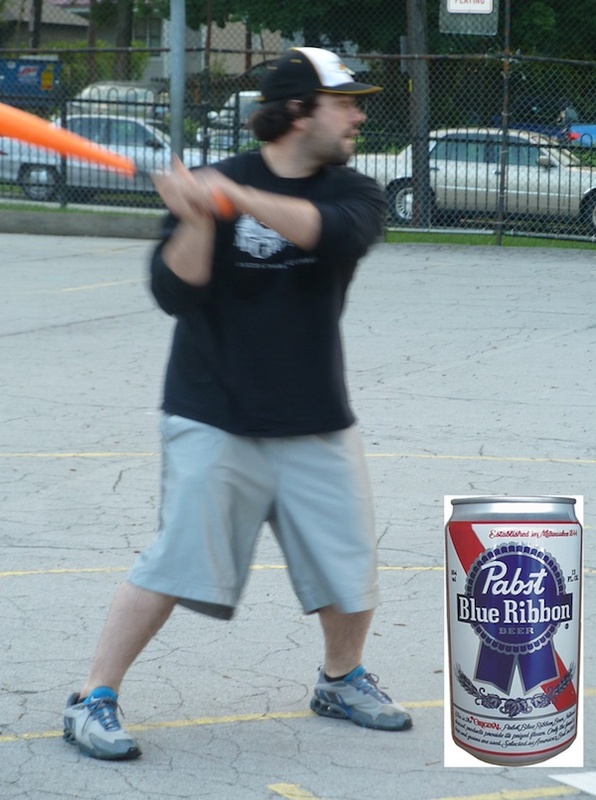 Vote for PBR Wiffler of the Week. Sometime in the next 2-3 weeks, I want to schedule two game days within the same week on a Tuesday and Thursday to make up for the lost week earlier in the season. 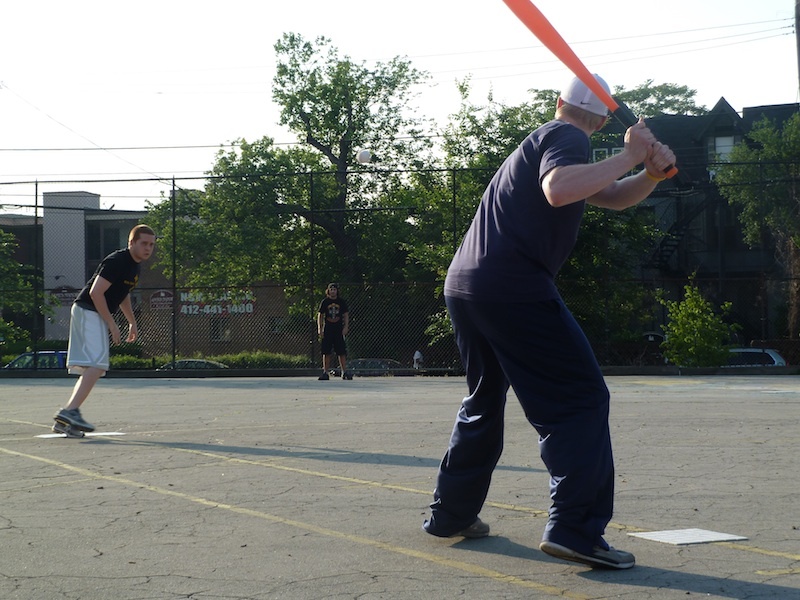 The Fish Sticks struggled at the plate and in the field against 4 out of 5 Dentists, losing 6-1, their third consecutive defeat. The Gay Fish sent Joey to the mound against the Dentists and he put the Sticks in hole early in the top of the first inning. Ron singled to start the game, and after Chris grounded out to center, Mike hit a two run homer giving the Dentists an early 2-0 lead. Spads followed with a homer of his own, the first of his career, and the back-to-back bombs put the Dentists up three runs early. Ron singled to extend the threat, but Chris flew out to end the bottom of the first. Dinger grounded out to start the game for the Fish Sticks, but Adam and Joey each singled, putting runners on the corners for Blose. One swing could have tied it, but Chris got Blose to ground out to the mound, keeping the score 3-0. Joey held the Dentists lead at three by retiring the side in order in the top of the second, but Dinger and Adam were retired in order in the bottom of the second. The Dentists were blanked again in the top of the third as Ron and Chris were retired in order. Joey couldn’t help himself out, and grounded out to start the bottom of the third, but the Sticks got on the board when Blose hit a solo homer to center, his league leading eleventh of the year. Chris retired Dinger to end the inning, and the score was 3-1 through three innings. 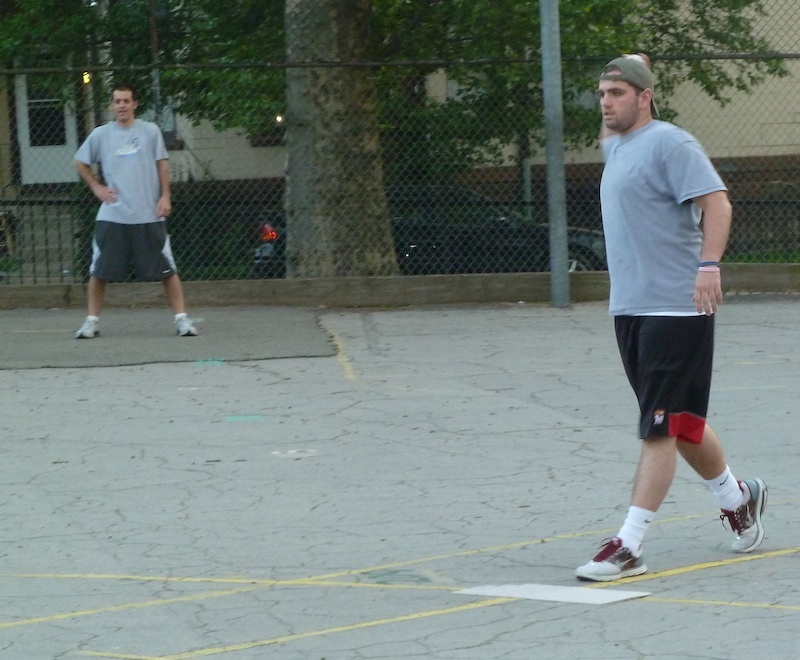 Mike immediately made up the run for the Dentists, hitting a solo homer to move the score to 4-1. Spads followed with a single, but Blose capitalized on a Dentists baserunning error and turned a Ron fly out into a double play to end the inning. Adam and Joey were retired in order in the bottom of the fourth, and Chris and Mike were retired in the top of the fifth to keep the score 4-1. Blose singled to lead off the bottom of the fifth, but Chris stranded him by getting Dinger and Adam to each ground out, keeping the Dentists lead at three runs. Spads grounded out to start the top of the sixth, but Ron and Chris each singled to put runners on first and second with one out. Mike hit a fly ball that gave the Fish Sticks difficulties, and throwing errors resulted in a triple which scored both baserunners, extending the Dentists lead to 6-1. 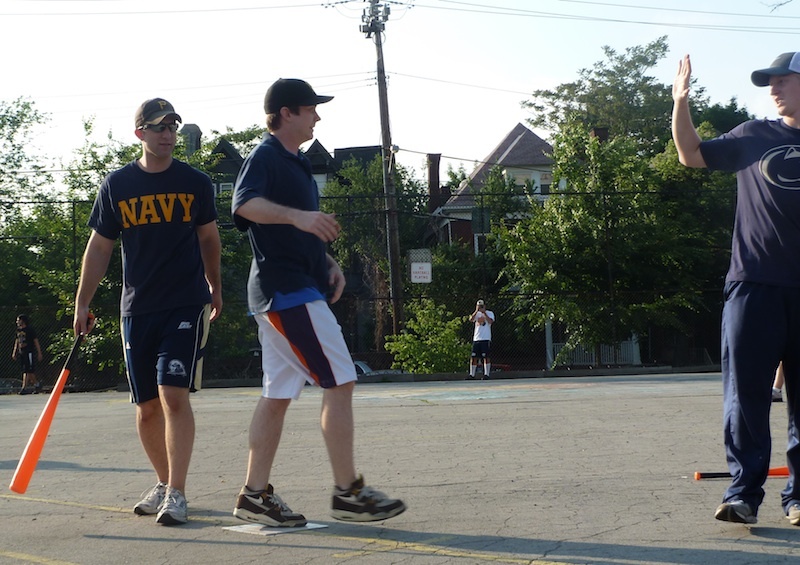 Mike was stranded on third when Spads grounded out to end the sixth. Down give, Joey led off the bottom of the sixth with a single. But Chris ended the game by getting Blose to fly out and Dinger to ground out, and the Dentists claimed a 6-1 victory over the Fish Sticks. Holly came within one out of the league’s first shutout, as she and Pumice on Slow! handed the Caucasians their first loss of the season in a 5-1 victory. Despite getting shelled in record setting fashion in week 3, Pumice on Slow! sent Holly back to the mound against the league’s best team in week 4. She gave up a single to Guthrie to start the game, but retired Les and Frosty to end the first unscathed. Morrison, the league’s only southpaw, went to the mound for the Vaginas and retired the Pumice! side in order in the bottom of the first to keep the game scoreless. Holly retired Morrison and Guthrie in the top of the second, and Pumice got out their bats in the bottom of the inning. Luke hit his third homer of the season to lead off the inning, and for the second time in week 4, Brad made back-to-back homers when he hit a solo shot of Morrison. Gaurav grounded out for the first out of the inning, but Holly helped her own cause when she hit her third homer of the season, making the score 3-0. Morrison retired Luke to end the inning, but Pumice! had collected all the run support Holly would need. Holly chopped down Les and Frosty in the top of the third, and Pumice added another run when Gaurav hit a solo homer with one out in the bottom of the third. Through three Pumice on Slow! had a 4-0 lead. Morrison singled to start the fourth, but was stranded at first when Guthrie and Les were retired in order. Brad hit his fourth homer of the week and his seventh of the season with one out in the bottom of the fourth, and after four innings the score was 5-0. Frosty singled to lead off the fifth, but the Vaginas stranded another runner when Holly retired Morrison and Guthrie in order. Holly and John flew out in the bottom of the fifth, and the Caucasians were down five with half an inning of play remaining. Cruising through a shutout performance, Holly gave up a deep fly to Les to lead off the top of the sixth. The ball hit the fence and Les legged out a triple, the first Caucasian runner to advance beyond first base. The next batter, Frosty, grounded out, but the shutout was ruined as Les scored on the fielder’s choice. Up 5-1, Holly gave up a single to Morrison, but fanned Guthrie to end the game and give Pumice on Slow! 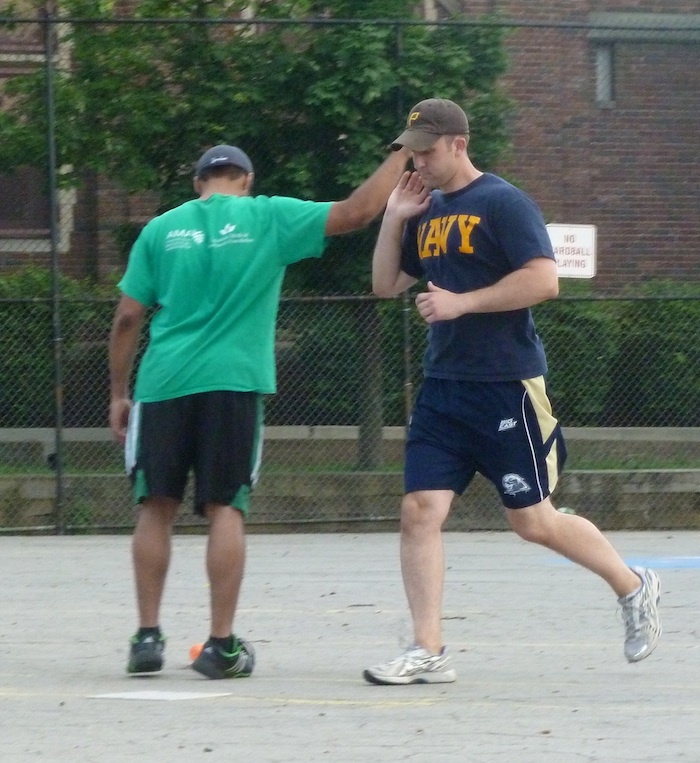 their third consecutive victory, as the Caucasians suffered their first defeat of the season. Guthrie outdueled Ron 2-1 in an Opening Day win for the Caucasians, and he did it again in week 4 as he held 4 out of 5 Dentists to only 2 runs on 5 hits as the Vaginas moved to 7-0 on the season. Ron pitched a great game, but it started rocky as he fell into a hole against the Caucasians immediately. 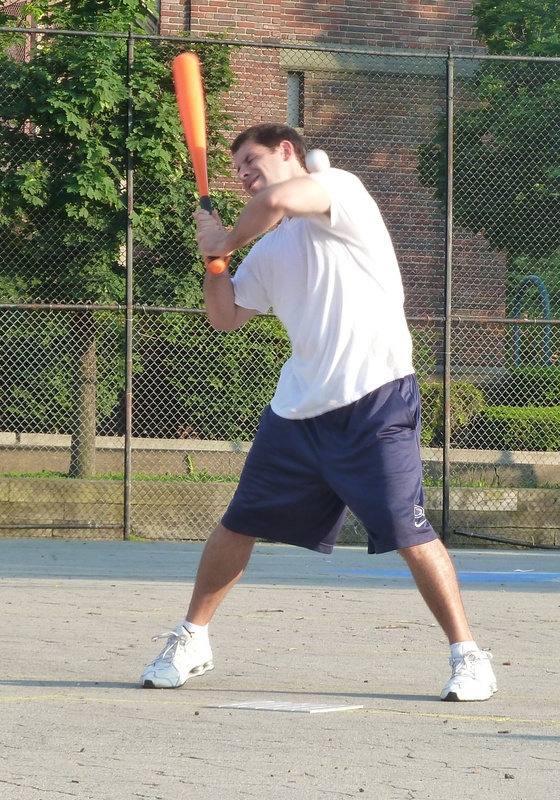 Morrison, batting in the leadoff spot, singled to start the game, and scored on when Les hit a two run home run to left field putting the Vaginas up 2-0. Ron then got Frosty and Guthrie to fly out to end the top of the 1st. Down two, Ron didn’t wait long to help himself out, hitting his fourth homer of the year, a solo shot to lead off the game for the Dentists. It looked as if the Dentists would rally early, as Chris and Mike each singled to put runners on first and second with no outs. But Guthrie retired Spads and Ron to end the threat and maintain a 2-1 lead. Morrison led off the second inning with a solo homer, his eighth of the year, giving the Caucasians a two run lead. Les followed by flying out to the pitcher, but the Caucasians rallied with one out as Frosty single and was moved to third on a Guthrie single. With runners at the corners, Ron got Morrison to ground out, ending the rally and keeping the score at 3-1. After giving up three hits in the first inning, Guthrie found his groove and was nearly unhittable for the next four innings. Guthrie retired eight of the next nine batters, giving up no runs in the second through fifth innings, yielding only a single to Spads in the third inning. Ron also settled in after ending the Caucasian rally in the second. He also retired 8 of 9 batters from the third through sixth innings, giving up only a triple to Frosty in the top of the fifth. Frosty was stranded at third. With both pitchers cruising, the Caucasians maintained the 3-1 lead heading into the bottom of the sixth. Down two runs with two outs to go, Mike led off the top of the sixth with a solo home run, the first of his career, cutting the deficit to 3-2. The Dentists came up short, however, as Guthrie buckled down and got Spads and Ron to groundout in order to end the game. The Caucasians remained undefeated at 7-0, and Guthrie moved to 3-0 on the season.